Experience the best of Pacific Northwest living from your one or two bedroom apartment home at Tria Apartments in Newcastle, Washington. From our community in Newcastle you’ll enjoy easy access to the dining, shopping, and recreation that makes our area an incredible place to live. 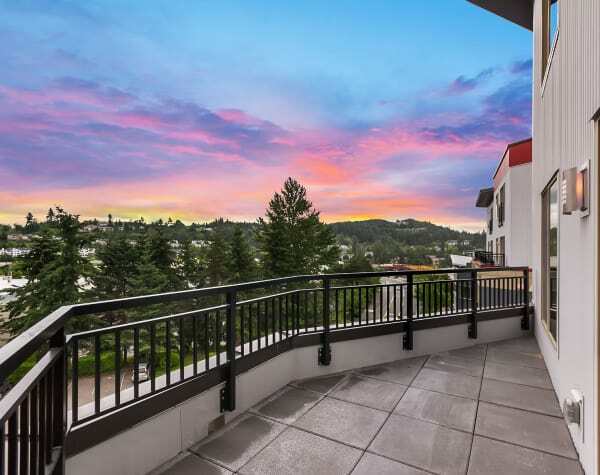 Minutes from numerous parks and natural areas and a short drive into the heart of downtown Seattle, Tria Apartments opens up every opportunity in the Seattle area. Your new one or two bedroom apartment in Newcastle is within walking distance to incredible restaurants and the everyday necessities of life, such as grocery stores and banks. Children attend school in the highly rated Issaquah School District, and your commute to major employers such as Microsoft or T-Mobile is quick and easy. Pick up a book at Newcastle Library, just down the street, or play a round of golf at Golf Club at Newcastle. For high-end shopping head over to Factoria Mall or The Landing. If you’re looking for a more natural escape, Cougar Mountain Regional Wildland Park offers acres of wilderness and miles of trails to wander. Discover glorious Newcastle, Washington, then stop by our community for a personal tour of our one and two bedroom apartments for rent. We can’t wait to show you around your new home.